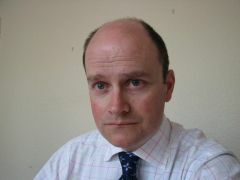 Robert Lewis is Head of Research at Visit Wales. He began his career in the former Wales Tourist Board, then worked for Cadw before returning to WTB. He worked as Marketing Manager-Europe for some 7 years before taking up his current role.Robert studied Modern and Medieval Languages at Cambridge and has remained active in this field. He has recently published a book on Wenglish, the dialect of the South Wales Valleys. He is a member of two ecumenical societies with a European dimension - The Anglican-Old Catholic and Anglican-Lutheran Societies. He has attended St.German’s, Roath for over 20 years and also St Mary’s in Whitchurch, Cardiff, where he has lived since 2000.Robert is married and has 3 children. 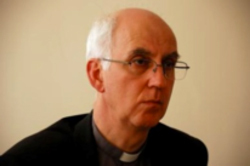 Msgr Peter Brignall is the Bishop of the RC Diocese of Wrexham. 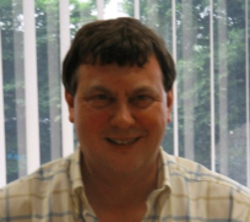 As Chairman of the Open Churches Network in Wrexham, Peter is closely connected to tourism. Born and brought up in London he has spent the whole of his priestly life working in Wales, serving in parishes in three of the four corners of the principality. This has afforded him the opportunity to discover and explore some of the more obscure parts and paths of the countryside. Among other responsibilities, Peter is chairman of the Diocesan Liturgy Committee and a member of the National Professional Committee of the College of Health Care Chaplains. In his spare time he enjoys reading about food, as well as preparing and eating it; walking and listening to classical music. Lucy von Weber, Project Manager, South West Wales Tourism Partnership. 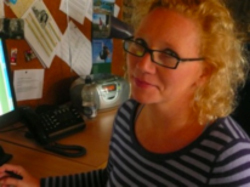 Lucy has worked within leisure research, tourism consultancy and Local Authorities. Over the last 17 years she has enjoyed tourism posts covering a wide range of tourism disciplines, from product development and trade liaison to marketing. Before joining South West Wales Tourism Partnership Lucy was Principal Tourism Officer with the City and County of Swansea. She and her family live in Carmarthenshire and in her spare time Lucy enjoys a double life as a fitness instructor as well as the more sedentary pursuits of movies, music and book reading. 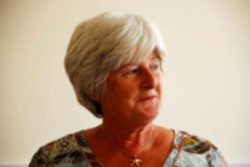 Professor Eleri Jones is Associate Dean (Research) in Cardiff School of Management at Cardiff Metropolitan University. Her day job involves the management of research in Cardiff School of Management and supervising tourism and management-focused PhD students from all over the world- Kenya, Ghana and Zambia in sub-Saharan Africa; Egypt, Saudi Arabia, Oman and Libya in the Middle East and North Africa and Taiwan from Asia Pacific - as well as from the UK. She is married to Ron and has a twenty five year old son, Geraint who is mad about rugby and coaches the women’s youth team in Caerphilly. Eleri has a 50-foot narrowboat, Tua'r Gorwel, on the Monmouthshire and Brecon Canal and attempts to spend as much time as possible on the boat enjoying the tranquillity. Sue was born in Cardiff and educated at Whitchurch High School to A level, and then at London for an HND in Business Studies & Tourism. Whilst living in London and Essex Sue worked in a tour operation for European and Australian companies then in a retail travel agency . 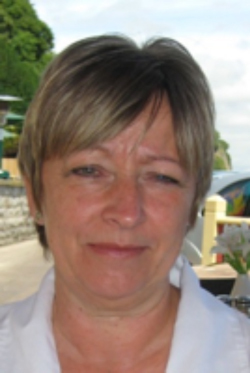 Sue returned to Wales and worked in an estate agency before joining URC in 1991. Hobbies include (dog) walking, cooking; keeping an allotment;The Family consists of one husband; one dog; two cats; one son at home; one daughter, zoologist, in New Zealand working in conservation. Matt Knight is the National Digital Engagement Advisor for the Environment Agency. He started his career working as an editor in technical publishing before spending five years working for the Church in Wales as Creative Resources Officer, responsible for online and video activity. He first entered the public sector to become Strategic Web Development Manager (and, later, Head of eComms) for the Office for National Statistics. Matt has project management and business analysis qualifications and is particularly interested in social media strategy. He lives in Cardiff, from where he escapes to walk in the countryside as often as possible. is Head of Property Services at the Church in Wales. Sue Kelly has a background in finance, and has been involved in church tourism since moving back to Wales in 1996, when she joined All Saints Church Gresford (whose bells are one of the Seven Wonders of Wales). 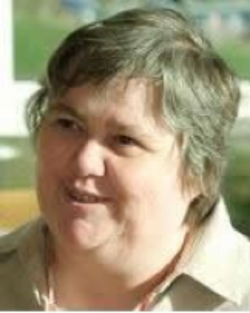 She is a founder member of CTNW, and is also Tourism Officer for the Diocese of St. Asaph; a member of Wrexham Tourism Forum; secretary and a founder of the Open Church Network; and developed 'Sacred Space', a project involving local communities and visitors in the ecology and genealogy in churchyards. Sue relaxes by spending as much time as possible with her three grown up children and two grandchildren, escaping whenever possible to her caravan on the beautiful Welsh coast.